Having children with a large age gap means that they like that they have different cooking abilities but when it comes to safety the same level of protection is needed. 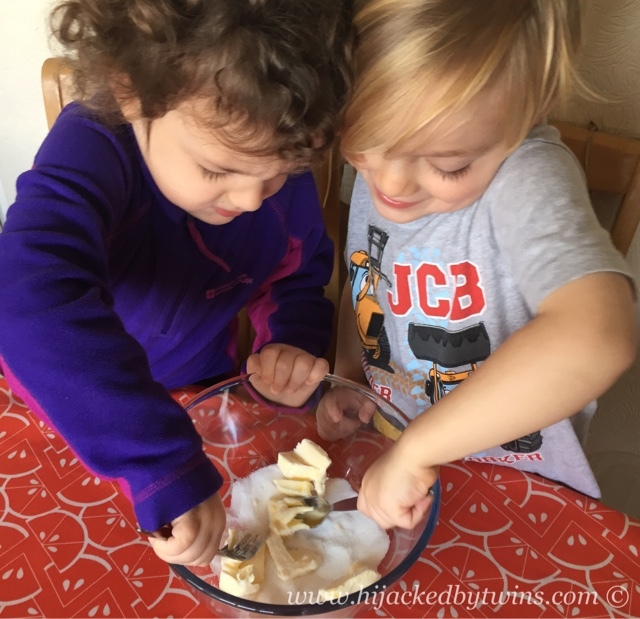 The best way that you can educate your children about kitchen safety is to teach it from an early age. Doing it that way means that it becomes a second knowledge to them, they grow up with the safety values installed and stay clear of accidents. But we all know that accidents do happen, that is why it is our jobs, as parents, to make sure that we keep up our safety knowledge and do not let it slip. Many of the tips may be simple but they can sometimes be the ones that we take for granted. That is why it is good to keep a regular check on the kitchen. Every time that you do a cooking activity or the children are in the kitchen while you are cooking you reiterate any safety rules that may apply! When looking at areas of danger in the kitchen, make a mental note of areas that could pose a danger. Below is a picture which highlights that areas that you need to be aware of. The oven area, the cleaning products cupboard, sharp corners of worktop, breakable pots in reach of little hands and knives. Sharp work top corners - Safety corner cushions are a great way to soften the corners. You can buy clear plastic ones so they will not look unsightly but will keep little heads safe. Breakables - Keep glasses and breakable items such as dishes and plates away from the edge and out of reach. If pulled down and broken they can pose a risk of cutting. Ovens - Teach children that whether or not the oven is on they do not touch that area. I know that the outside of oven doors do not get too hot to touch for us, but it will feel hotter for children's delicate skin. Teach your child to never place anything on top of the oven hob and at their height they do not know whether it is switched on or not. If it is on, it not only poses a threat to burns, but also to fire which can endanger the whole family. When using the gas/electric hob use the rings nearest to the back. This will reduce the risk of burns as well as fire. Always remember to turn the pan handles inwards. If they are facing out you are risking the pans being knocked and spilt. 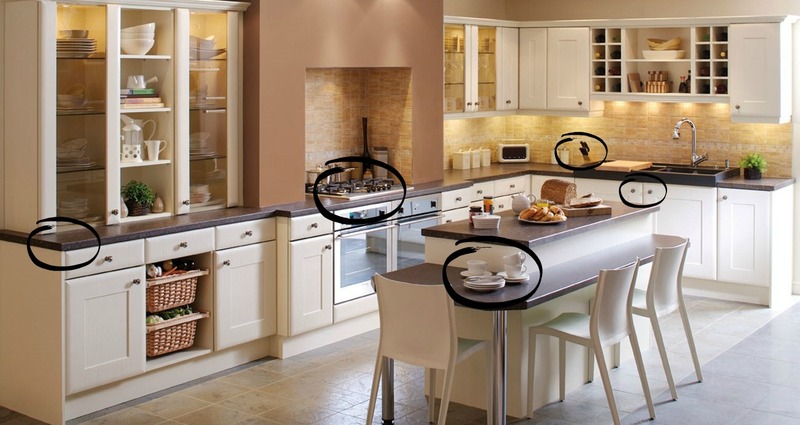 Sharp knives - Keep sharp knives out of reach and keep then at the back of the worktop. Cleaning products - I don't know about you but I keep all of my cleaning products under the kitchen sink. If you keep your cleaning products in a cupboard that is accessible to children add a child proof cupboard lock. Walk - Teach your children to always walk in the kitchen. I know once my kiddies get running around, they get excited and they become less aware of danger. Make the kitchen a "no run" zone! Spillages - Clean up any spillages straight away, I will admit to being a messy cook. When anything is spilt on the floor, wipe it up straight away to stop anyone slipping. These are my top tips for safety in the kitchen. I know that accidents do happen and I know that sometimes we are not always as vigilant as we should be, life takes over and we get busy. But if we try to install these simply safety rules to children at a young age they will become second nature. Lets get our kids in the kitchen, lets teach them how to have fun and be safe in the kitchen! Great tips, I've always drummed into the kids not to touch knives without a grown up there. Also not to touch the oven as the door will be hot, they really should manufacture ovens so the glass doesn't get hot. Brilliant tips! It's so important to stay safe in the kitchen as so much could go wrong. My little lad is 2 and doesn't have any want to bake with me just yet (such a shame) but we will both bare these in mind for when he does!